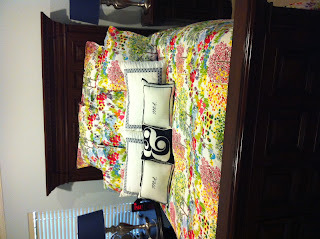 Pottery Barn was having a big sale, and I took the opportunity to update our bedding. It's a bright and colorful flowery forest print. It might not be what most men would want, but the bright colors on our dark wood makes me smile. 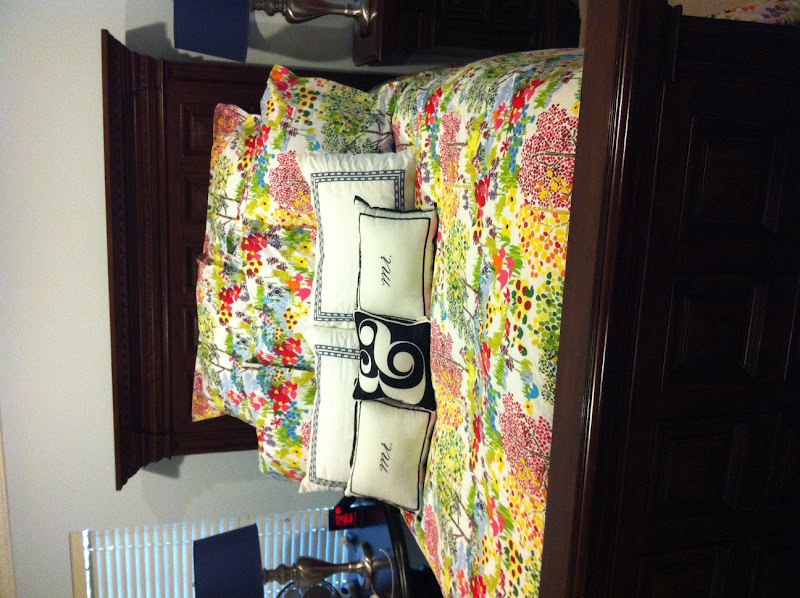 Plus, as a bonus, it's the exact bedding my mother has in my old bedroom at my parents' house. One time my niece, Presley, was staying with my parents and she didn't believe that she was sleeping in my old room. Presley thought it looked like a girl's bed.